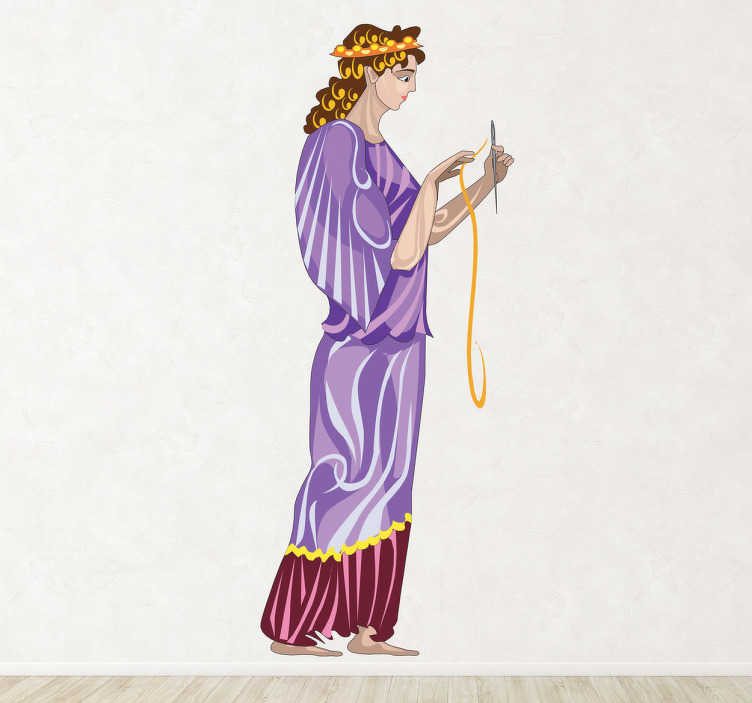 A wall decal showing the youngest of the three fates, this sticker shows Cloto. Holding her needle and thread which represent the spinning of the thread of human life, she reigns over birth and life. An ideal wall sticker for fans of Greek Mythology and perfect for any room in the home, as this vinyl is applicable to any hard surface.